AA Istanbul Visiting School, in collaboration with Istanbul Bilgi University, is a unique learning experience. Continuing its expertise on generative design methodologies and large-scale prototyping techniques, the program will investigate patterns of emergence, differentiation, and complexity in natural formation processes. In contemporary architecture, a significant diversion from linear parametric tools toward generative design simulations is taking place. Design and analysis processes reflect this shift by focusing on simulations. In this program, attention will be on the process of design generation as opposed to the final form. The design agenda of the program will revolve around the design and fabrication of a one-to-one scale pavilion. Stage 1: Participants will gain an understanding of formation processes in nature, coupled with core concepts related to complexity. During this stage, basic and advanced tutorials on generative design algorithms and analysis tools will be provided. Participants will be introduced to advanced fabrication techniques. 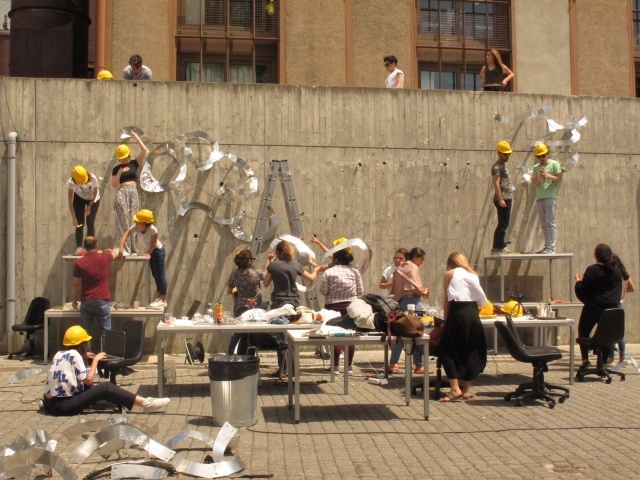 Building on its core methodology, AA Istanbul VS will perform as a team-based workshop promoting collaboration and research. Stage 2: Participants will propose design interventions based on the skills and knowledge gained during the first stage. They will produce study models of various scales, finally following with the fabrication and assembly of a full-scale working prototype. • Participants will have access to digital fabrication tools such as 3-axis CNC router, laser cutter, and 3D printer. The workshop is open to current architecture and design students, PhD candidates, and young professionals. The application deadline is 30 May 2016. The only requirement is the online application form and fees. No portfolio or CV.